Posted on Sat, Mar 10, 2012 : 5:58 a.m.
For a week in Jan., Mike Schultz stayed near the Chilean Andes Mountains, hosting a group of Americans on a fly-fishing trip. But Schultz says there's no need to travel across the globe to find an excellent fly fishing spot. One of the country's best kept secrets is the fishing available in mid-Michigan, and one of the Huron River's sweet spots runs right through Washtenaw County. Thus, Schultz and co-owner Brian Doelle, located their guide business and Schultz Outfitters, a fly-fishing supply store, in Ypsilanti's Depot Town with the Huron River at their doorstep. The guide business is bringing anglers from across the country to the area while Schultz Outfitters will offer a store catering not only to customers who seek out fishing spots in Chile, but the novice who can’t spend $700 on a rod. “Not everyone can walk into a shop and buy a $600 to $700 rod, so we’re going to carry rods from $89 to ‘Holy Crap!’” Schultz said. He explained learning fly-fishing can sometimes be intimidating to beginners who don’t have a lot of money. “We’re going to do it all. We’re not going to discriminate against anyone. Anyone can come in here from a 16-year-old kid to a blue-collar worker. We pride ourselves that,” he said. Among the names Schultz will stocks are Simms, Patagonia, Sage, Ross, Scientific Anglers, Rio, Temple Fork Outfitters, Renzetti, Hatch and Nautilas. With the river a matter of feet away from the store, customers can try out the rods before buying. Schultz partly selected the location at 4 E. Cross Street because of its accessibility to the river banks in adjacent Riverside and Frog Island Parks. He plans to offer fly-fishing classes for those with any level of experience in the sport. The part of the river running through the area is also an excellent stretch for fishing that most midwest anglers aren't aware of, Schultz said. It sees 12-to 16-inch white bass and a run of small-mouth bass that usually average 10-to 15-inches but grow as large as 19 inches when they head up river from Ford Lake. “The river is solid in that stretch and we haven’t told people about it much for the last 10 years, but we’re going to blow the roof off that,” Schultz said. That’s where the guide business comes in. Schultz, 31, has a crew of six with four guides other guides, and offers day-long trips along the Huron, Shiawassee, Kalamazoo and Flint Rivers. The rivers wind through central Michigan and launch sites on each are within 60 miles of Ypsilanti. Their waters are full off small-mouth bass, steelheads, pike, musky and carp. Schultz takes customers on boats designed for fly fishing on trips that are eight hours for a full day or half day for 4 hours span over 12 miles of a river, depending on what the customer wants. The customer can also decide if they want to wade into the water or fish from the boat, and a grilled meal is included in the package. Depending on the river, the full day trip costs between $350 and $375 for two anglers. Half days are available on Huron River for $250 for two anglers. Schultz also hosts around a dozen “destination trips” annually on which he takes groups to exotic spots like Alaska, Montana, Chile and the Bahamas; as well as better fishing spots relatively nearby in Ohio, Pennsylvania, northern Wisconsin, and "Steelhead Alley" which runs from the mouth of the Huron River along the southern shore of Lake Erie and into upstate New York. Last year, his crew guided over a combined 200 days on a season that went from May to October, and each year his customers are regularly booking the same dates for the following season. “We’ve done a good job with guiding around here and we’re creating a new destination fishery,” he said. “People have always fished this area, but now we’ve developed it to where we’ve got people coming here just to go small mouth fishing on the rivers. Schultz graduated from Eastern Michigan University with a business degree in 2004. He lives in Dexter but rattled off a list of reasons that the Ypsilanti location suited him, including easy access to customers from metro Detroit, convenient parking, cheaper rent, and the renewed energy in Depot Town. Sun, Mar 11, 2012 : 11:29 a.m. Very surprised this shop wasn't opened in Dexter. Close proximity to Metro park and the Huron river..and it's a perfect place to open this type of business. Mon, Mar 12, 2012 : 6:35 p.m.
Sun, Mar 11, 2012 : 10:36 a.m. Sat, Mar 10, 2012 : 10:49 p.m. Thank you so much for opening a quality shop in Depot Town. I am a rod builder. Can't wait to see what you have. Sat, Mar 10, 2012 : 8:21 p.m. I wish you guys would shut up and quit telling everybody how good the fishing is around here! Sun, Mar 11, 2012 : 3:30 a.m. So what is your problem...dry rod? Sat, Mar 10, 2012 : 6:38 p.m. Sat, Mar 10, 2012 : 4:37 p.m. This is wonderful. Looking at picking up some of your special crayfish patterns. Thank you Tom Perkins, you always write such beautifully detailed, well-researched, and substantive articles about Ypsi. Your reporting on our town and its delights has been the one bright spot in AA.com's generally abysmal &quot;coverage&quot; of Ypsi. As I've said many times before, pulling items straight from the police report does not constitute valid journalism, nor can it give a true picture of a city with a cultural life as rich and diverse as Ypsi's. I wish you were still covering the schools. Your reporting on school closures and budget issues was truly eye-opening and balanced. Sat, Mar 10, 2012 : 3:53 p.m.
Walleyes are still out there. Sat, Mar 10, 2012 : 3:22 p.m. Excellent Timing! One of the few true simple pleasures of life - A sunny day with a line in the water with the Tigers on low in the background. Can't wait to check Schultz Outfitters out! Sat, Mar 10, 2012 : 3:08 p.m.
Congratulations Schultzy! Can't wait to get off the road and drop by. For the naysayers: the river is healthy, the fish are big, and the scenery from the stream is beautiful. Ann Arbor boasts a large Trout Unlimited chapter so the interest is high as well. Schultzy's a great guide and a good tier. I've met some of his crew who are also tremendous folks. This should be a great success. Sat, Mar 10, 2012 : 12:57 p.m. They can just throw a line in the river there and catch some of that regional delicacy known as &quot;Ypsilanti trout&quot;. Tue, Jun 26, 2012 : 7:31 p.m. I'm agreeing with Braggslaw. Feels funny. Sat, Mar 10, 2012 : 4:50 p.m. I caught a 23&quot; rainbow off the superior rd. bridge that tasted pretty good. I hope this brings more interest in this stretch of the river. Keeping the banks of river accessible to everyone should be a priority!! The Huron is a fabulous warm water fishery.... Don't be a hater. Sat, Mar 10, 2012 : 1:07 p.m.
Why the negativity? Water quality is pretty good and the area is full of fish. 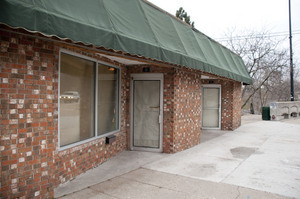 Ypsilanti is attracting new business while ann arbor is pushing it away. Sat, Mar 10, 2012 : 12:36 p.m.
Schultz, 31, has a crew of six with four guides other guides, Four other guides other guides? Where was the business located before? Sat, Mar 10, 2012 : 12:29 p.m. Sat, Mar 10, 2012 : 7:21 p.m.
A bit bigoted there tdw. Generalizing a civilized town as all residents are &quot;stuck up&quot; sounds like you are phishing yourself. Sat, Mar 10, 2012 : 1:06 p.m. It's gonna fly real great. That guy knows how to hussle and make something happen. Sat, Mar 10, 2012 : 11:58 a.m.
Great idea and what a wonderful addition to Depot Town!